Study: Giving Midwives A Greater Role Could Improve Care For Mothers And Babies States that give midwives a greater role in patient care achieve better results on key measures of maternal and neonatal health, according to a new study. A new study offers a systematic look at what midwives can and can't do in different states, offering evidence that empowering them could boost maternal and infant health. In Great Britain, midwives deliver half of all babies, including Kate Middleton's first two children, Prince George and Princess Charlotte. In Sweden, Norway and France, midwives oversee most expectant and new mothers, enabling obstetricians to concentrate on high-risk births. In Canada and New Zealand, midwives are so highly valued that they're brought in to manage complex cases that need special attention. All of those countries have much lower rates of maternal and infant mortality than the U.S. Here, severe maternal complications have more than doubled in the past 20 years. Shortages of maternity care have reached critical levels: Nearly half of U.S. counties don't have a single practicing obstetrician-gynecologist, and in rural areas, the number of hospitals offering obstetric services has fallen more than 16 percent since 2004. Nevertheless, thanks in part to opposition from doctors and hospitals, midwives are far less prevalent in the U.S. than in other affluent countries, delivering about 10 percent of babies, and the extent to which they can legally participate in patient care varies widely from one state to the next. 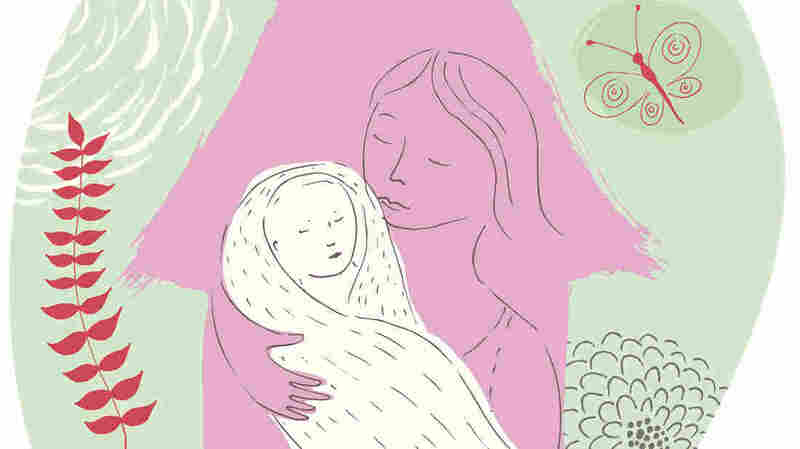 Now a new study, a systematic look at what midwives can and can't do in the states where they practice, offers new evidence that empowering them could significantly boost maternal and infant health. The five-year effort by researchers in Canada and the U.S., published Wednesday, found that states that have done the most to integrate midwives into their health care systems, including Washington, New Mexico and Oregon, have some of the best outcomes for mothers and babies. Conversely, states with some of the most restrictive midwife laws and practices — including Alabama, Ohio and Mississippi — tend to do significantly worse on key indicators of maternal and neonatal well-being. "We have been able to establish that midwifery care is strongly associated with lower interventions, cost-effectiveness and improved outcomes," said lead researcher Saraswathi Vedam, an associate professor of midwifery who heads the Birth Place Lab at the University of British Columbia. Many of the states characterized by poor health outcomes and hostility to midwives also have large African-American populations, raising the possibility that greater use of midwives could reduce racial disparities in maternity care. African-American mothers are three to four times more likely to die in pregnancy or childbirth than their white counterparts; black babies are 49 percent more likely to be born prematurely and twice as likely to perish before their first birthdays. "In communities that are most at risk for adverse outcomes, increased access to midwives who can work as part of the health care system may improve both outcomes and the mothers' experience," Vedam said. That's because of the midwifery model, which emphasizes community-based care, close relationships between providers and patients, prenatal and postpartum wellness, and avoiding unnecessary interventions that can spiral into dangerous complications, said Jennie Joseph, a British-trained midwife who runs Commonsense Childbirth, a Florida birthing center and maternal care nonprofit. "It's a model that somewhat mitigates the impact of any systemic racial bias. You listen. You're compassionate. There's such a depth of racism that's intermingled with [medical] systems. If you're practicing in [the midwifery] model you're mitigating this without even realizing it." The study, published in the peer-reviewed journal PLOS ONE, analyzes hundreds of laws and regulations in 50 states and the District of Columbia — things like the settings where midwives are allowed to work, whether they can provide the full scope of pregnancy- and childbirth-related care, how much autonomy they have to make decisions without a doctor's supervision, and whether they can prescribe medication, receive insurance reimbursement or obtain hospital privileges. Then researchers overlaid state data on nine maternal and infant health indicators, including rates of cesarean sections, premature births, breastfeeding and neonatal deaths. (Maternal deaths and severe complications were not included because data is unreliable). The differences between state laws can be stark. In Washington, which has some of the highest rankings on measures such as C-sections, premature births, infant mortality and breastfeeding, midwives don't need nursing degrees to be licensed. They often collaborate closely with ob/gyns, and can generally transfer care to hospitals smoothly when risks to the mother or baby emerge. They sit on the state's perinatal advisory committee, are actively involved in shaping health policy, and receive Medicaid reimbursement even for home births. To be sure, many other factors influence maternal and infant outcomes in the states, including access to preventive care and Medicaid; rates of chronic disease such as diabetes and high blood pressure; and prevalence of opioid addiction. And the study doesn't conclude that more access to midwives directly leads to better outcomes, or vice versa. Indeed, South Dakota, which ranks third from the bottom in terms of midwife-friendliness, scores well on such key indicators as C-sections and preterm births. Even North Carolina is average on C-section rates, breastfeeding, and prematurity. The findings are unlikely to quell the controversies over home births, which are almost always handled by midwives and comprise a tiny but growing percentage of deliveries in the U.S., or fears among doctors and hospitals that closer collaborations with midwives will raise malpractice insurance rates. In fact, said Ann Geisler, who runs the Florida-based Southern Cross Insurance Solutions, which specializes in insuring midwives, her clients' premiums tend to be just one-tenth of premiums for an ob/gyn because their model of care eschews unnecessary interventions or technology. Far from being medical renegades, the vast majority of midwives want to be integrated into the medical system, she said. Generally, licensed midwives only treat low-risk women, Geisler said. If the patients become higher risk, midwives are supposed to transfer them to a doctor's care. Since many ob/gyns only see midwife patients when a problem emerges, she said, they may develop negative views of midwives' skills. You can read a full report from our partner, ProPublica, here.